Definition of Decision Making? Make better decisions! Having a clear definition of decision making can help you make better decisions. Decision making is the process of making a choice between a number of options and committing to a future course of actions. Let's consider each of the key parts of the definition in turn. Firstly, decision making is a process with several stages. These combine to produce effective outcomes. Of course in some instances, decision making may simply consist of someone making up their mind to do something. More often though, in life and especially in business, many decisions are not that simple. More complex or important decisions are best made after a series of steps are taken. Whether the process used relies more on intuition and decision making, or involves a rational decision making model, both involve processes to help you make good decisions. Any decision making process should ensure that sufficient options are generated to enable a decision. Decision making firstly involves deciding where you are and where you want to go. Then generate options which will show you how to get there. Making a decision without considering sufficient options is an easy mistake to make, so always try to generate as many quality options as possible. Without a good range of options choice can become stifled. Without any options, there is no decision to make – it’s an ultimatum! We discuss generating options to improve a process in our article: Problem Solving Technique. You may also want to read 5 Questions to Transform Problem Solving. This article contains some key questions to help you generate options, and perhaps to help you increase your creativity. Choices can be difficult to make. In making a decision you'll probably rely on numerous inputs, and you'll certainly need to address a range of factors. Inputs will include your own experience, knowledge, common sense and judgement, and possibly that of others involved in the decision. They will also include factors related to types and styles of decision making. Choices are typically made within constraints. For example, the goals and priorities of the organization, and of your team, will no doubt shape your choices. Constraints provide the boundaries within which decisions have to be made. Therefore clarity about goals or objectives is essential for making better choices. Of course, your decision may well need to address several objectives, so you will need to analyze and prioritize these. Making a decision is rarely easy, and is often a compromise between what you really want, the ideal, and what can actually be done. It's rare that we have a completely free hand in making choices. However, it's always worth asking yourself: "if we had no constraints what would we choose?". The last element in our definition of decision making is perhaps the most important. A decision, even though well-made, is pointless without action. Decision making is about the future, about looking forward. Making a choice should take you forward – to action. Our definition of decision making can help you to focus. To focus on how to select the most appropriate actions, at the least cost, and with the most advantages. Actions have consequences, both intended and unintended. The consequences can be detrimental or favourable to your objectives. It's therefore crucial to consider both the positive and negative effects which might result from your decisions. Then you'll need to put a plan in place to eliminate or limit the adverse effects, and capitalize on favourable consequences. to visualize your choice as though it were already happening. Ask yourself: "what might the consequences be?" You are committing to a course of action which is uncertain so monitoring and adapting your plans as you implement them is often the secret to success. One final tip. Before you start, don't forget to ask yourself decision making lesson number 1: do you really need to make a decision? For more than just a definition of decision making, have a look at our companion e-guide, packed with practical tips and tools. 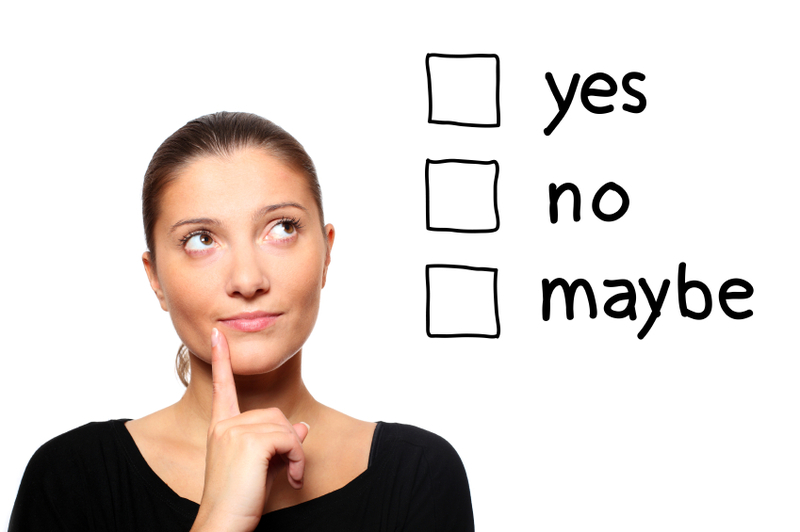 Tool 1: Do you need to make a decision?